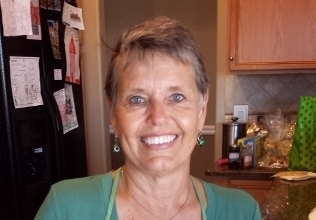 Author Melanie Shankle is a blogger, just like me. Except that she has about a billion more readers. I started following her blog a number of years ago because I liked the way she looks at life. She sees the interesting and funny and poignant and important side of every day. I think it’s pretty common to measure our success in life by the big things. The significant events. The important job with the high salary. The child who gets into Stanford. The big kitchen with white cabinets and marble countertops and a window looking out onto your pool. Let’s face it, however. Most of us won’t have kids attending Stanford or Harvard or Smith College. We’re more liable to have a modest home with three bedrooms and a mortgage. Does that make us less successful? Shankle doesn’t seem to think so, and she shares her thoughts on what’s important in life in her latest book Church of Small Things: The Million Little Pieces That Make Up a Life. She tells her readers what makes her laugh and be proud and shed tears through a series of vignettes about her everyday life. And her stories are so, so funny. It’s not that extraordinarily funny things happen to her; instead, it’s how she looks at life and how she sees the funny sides of everything. I can’t tell you how many of her stories hit such a note with me that I found myself saying out loud: Yes, I feel that way too. Her story, for example, about buying a white sofa that she simply felt she couldn’t live without only to discover that (as her husband said) “We aren’t white sofa people,” made me think about all of the things I have bought in my life that I felt were important at the time that now sit on a shelf gathering dust. In a simply hilarious story, she tells about how hard she worked to keep that sofa clean before she finally gave up and thereby made her life a lot easier. I laughed so hard at some of her stories, and shed tears at others, particularly when she talked about the loss of a dear friend from breast cancer. It’s a good writer who can create such emotion using just her words. Her faith in God helps her deal with the good and the bad. Shankle talks about her spiritual life and how prayer and faith have helped her through difficult times. 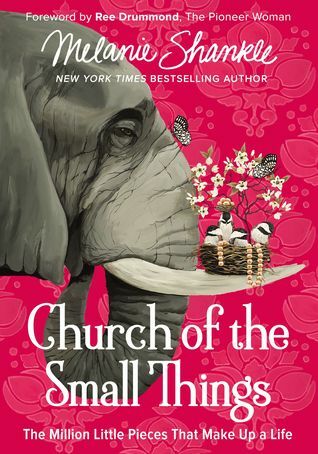 Church of the Small Things is a book I will look at again and again. Yes! Love this book and love Mel!